Rotary is a charity organisation dedicated to providing support in the community, both at home and abroad, whilst at the same time having fun and enjoying fellowship of like minded people. We have a thriving club with 54 members and 4 honorary members. 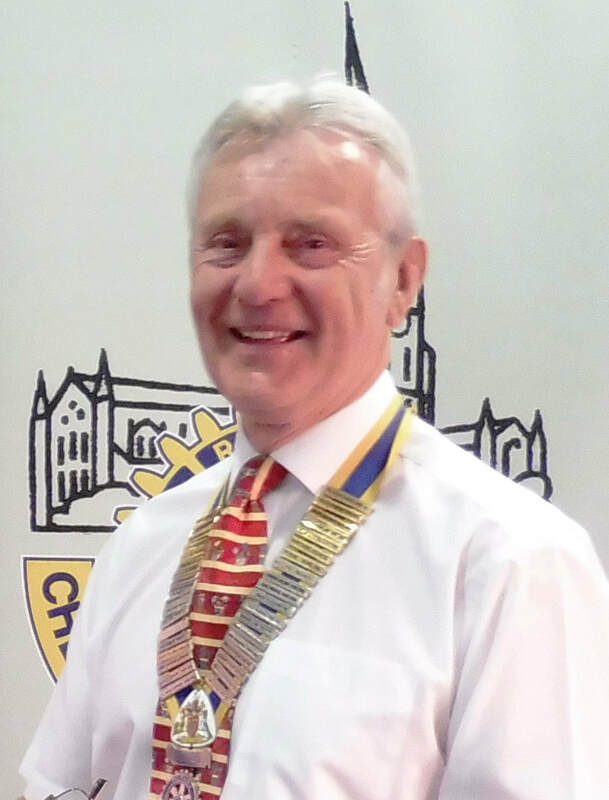 The Rotary Club of Chesterfield Scarsdale was founded on 29 th January 1981 to provide an opportunity for business and professionals to meet together within the worldwide Rotary organisation for the purpose of service to the disadvantaged local and International communities. The name Scarsdale has been used to identify other organizations and locations within our area, we are proud to think the name Scarsdale is very appropriate to us. We meet at the Proact Football Stadium in Chesterfield on Thursdays, 7 for 7:30pm (except Bank Holiday weeks). Rotary Foundation Certificate for our support of the End Polio Now Campaign during 2016-2017. Our club is proud to support the Rotary Foundation drive to eradicate Polio throughout the world, a goal which we are all very close to achieving. 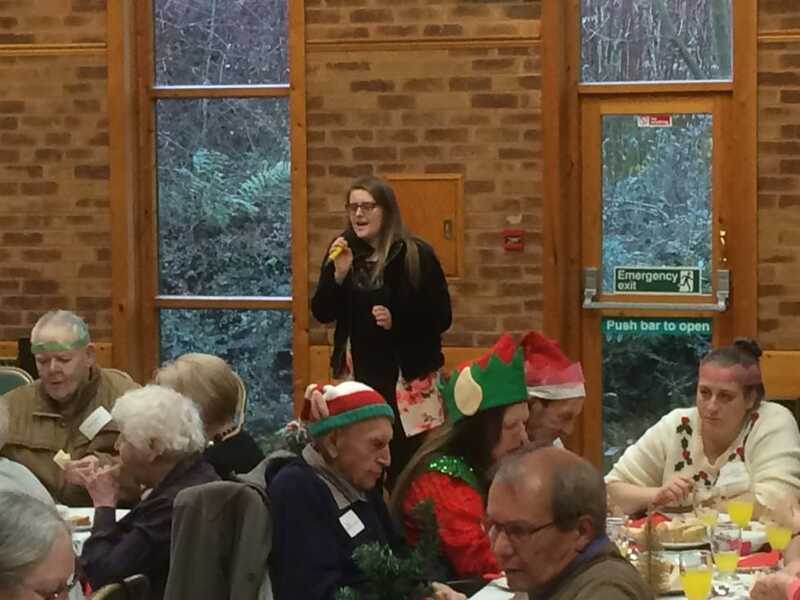 Chloe Blake entertains guests at the Senior Citizens Christmas Party at St John's Church, Walton.